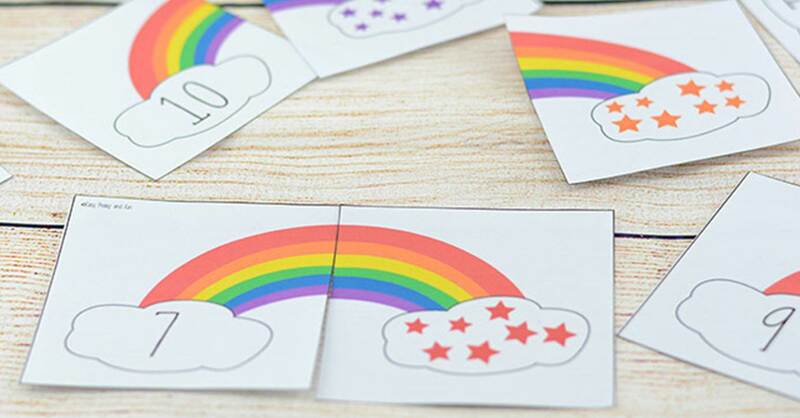 Finding fun, unique addition printables can be challenging at times. It’s always a win when you find a math printable that not only challenges your little mathematicians minds but is also fun for them to do! I know your students are really going to enjoy these Add the Dots Addition Printables! These printables are suitable for kindergarten and 1st grade. I would encourage you to be sure that your students are confident in their basic number sense and are capable of counting with one-to-one correspondence prior to using this printable in your classroom. 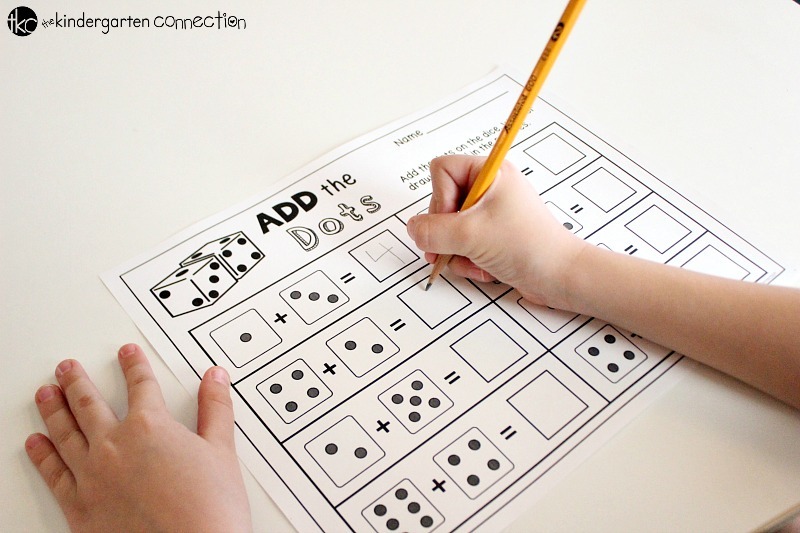 You can use these Add the Dots Addition Printables in small groups, centers or as homework. When setting up your math center or small group to use these printables, be sure to provide your students with a variety of writing tools and dice. I always make sure to give my students the opportunity to write with colored pencils, regular pencils or crayons if they’d like. Children feel like they have more ownership of the activity if they have choices. You’ll want to include 2 dice so the students can touch and see with their own two hands what the numbers on the dice are and how they match to the dice on the printable. This will also help them be more successful when writing their own addition equations on the bottom of the second printable. 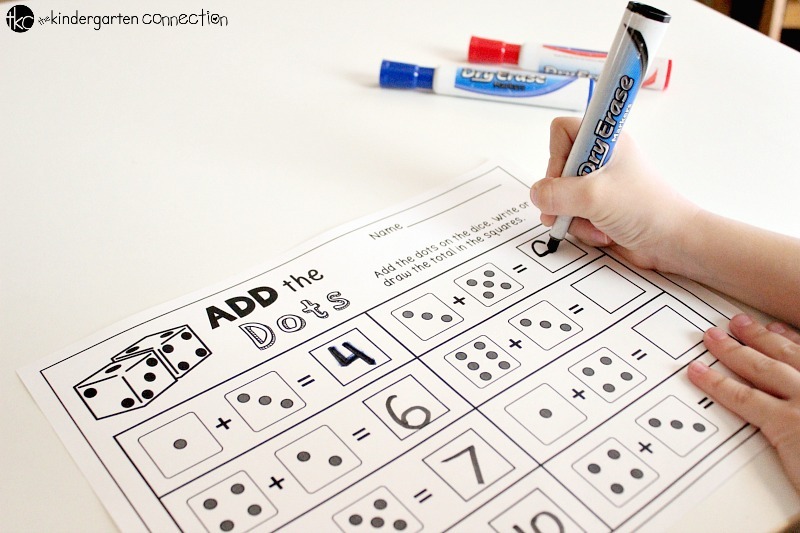 The first printable in this math addition series is a simple “Add the Dots” printable where two different numbers have been rolled on the dice and children are to count and solve the equation. The second printable in the series is an”Add the Doubles” printable. 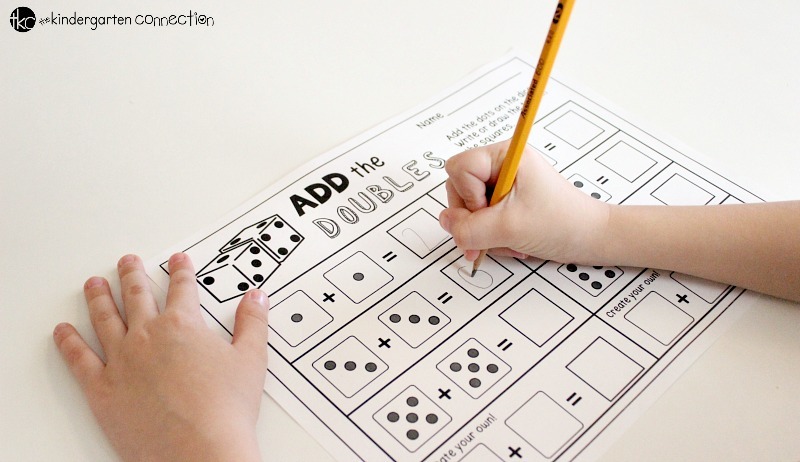 What’s great about this printable is it gives children the opportunity to start memorizing those “doubles” math facts that children should begin memorizing. My favorite part of this printable is on the bottom where children are encouraged to write their own “doubles” math equation. If you would like to use these printables in a center or for use year after year, then I would suggest laminating them. 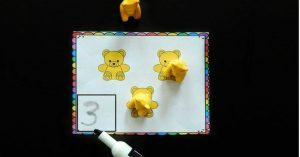 If you laminate the printables, then children can use dry erase markers which is just so much fun for kids! Be sure to include a basket of colorful dry erase markers and erasers when children are doing this activity. 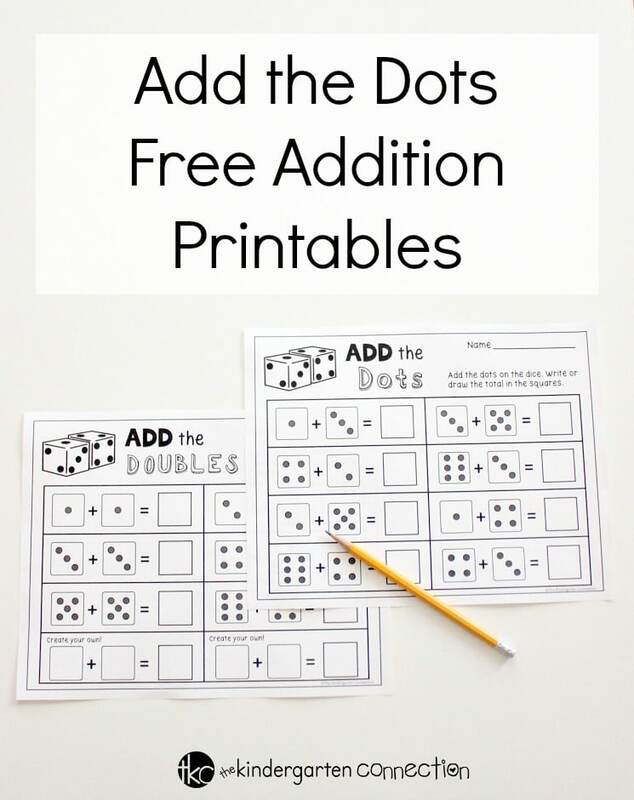 If you’re ready to grab these Add the Dots Addition Printables for free, then get them below by clicking on the big yellow button! 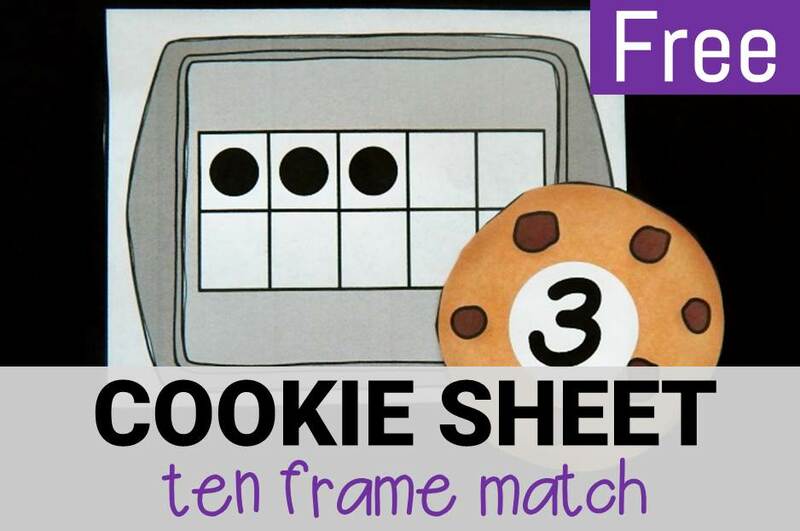 Then, hop on over and try this cookie sheet ten frame matching!